Keep in touch with your family and friends back home! 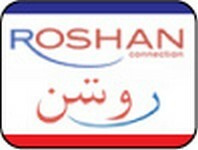 Reload your roaming Roshan prepaid phone or send them a load conveniently by purchasing refill PINs online. Roshan Mobile is required to be provided at the time of order, and minutes will be directly loaded to the provided Roshan Mobile Number. - For technical assistance, please call + 93 (79) 997 1333.